There are so many different ways to enjoy whole grains. They’re incredibly versatile and can be included in almost every meal. Here at Whole Grain Goodness we love a bit of international cuisine. Here’s a list of our 7 favourite whole grain dishes from around the world. 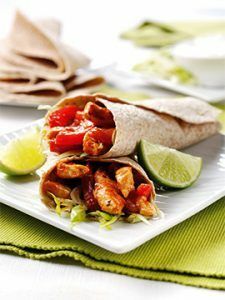 Starting with Mexico, we take you on a foodie tour of the globe, with healthy whole grains in each dish! This dish is quick and easy meal to make, and a great way to enjoy whole grain! The spicy chicken filling has a real kick. It’s delicious served with a dollop of sour cream and a sprinkling of coriander. Chapattis are traditionally made with whole grain flour, so this is an authentic Indian way to get more whole grain in your diet. This dish also contains just 290 calories, so makes a healthy midweek meal. If things get too hot, why not add a spoonful of mint raita to your chapatti to cool down the spicy steak! 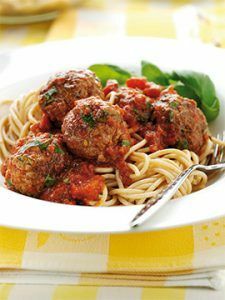 Next, the Mediterranean… Spaghetti and Meatballs is a solid family favourite, and by using whole grain pasta you can make this dish even better. Why not try using turkey or lamb mince as an alternative to beef. 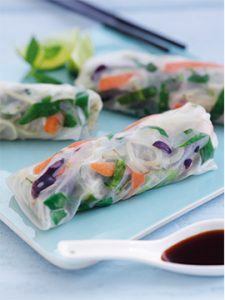 These low fat spring rolls are so fresh and have a real zing to them. Enjoy a taste of Asia for lunch, by combining wholegrain noodles and chicken, which is sure to keep you going until dinner time! 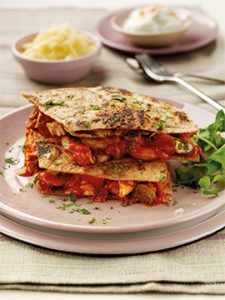 As this tasty dish includes quinoa and pitta bread, you’re getting a whopping two portions of whole grain per serving! 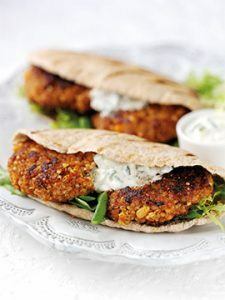 Try spooning some Tzatziki in to your pitta, which complements the lamb perfectly. 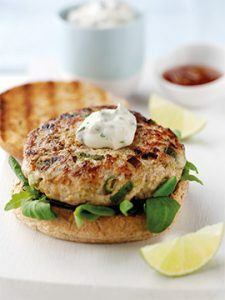 These turkey burgers are delicious and also low in saturated fat, which combined with the portion of whole grain you get from the baps, make a healthy choice for dinner! 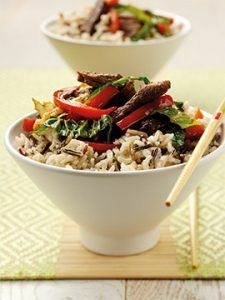 We end our world tour in China, with a quick and easy beef stir fry. The brown and wild rice combo is delicious, and if you don’t have wild rice why not try adding some finely chopped spring onions to brown rice instead! We hope you enjoyed the journey as much as we did, and can see just how easy it is to include wholegrain in a wide variety of dishes! Follow us on twitter @WhyWholeGrain for more recipe ideas and inspiration.